Typically, most IRA providers only allow you to invest in approved stocks, bonds, mutual funds and CDs. A self-directed IRA with Entrust allows you to diversify beyond these traditional types of investments such as in real estate properties. This is our most popular investment strategy - and for a good reason! 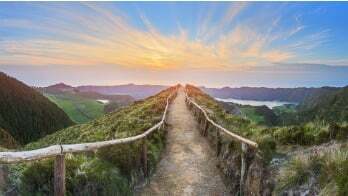 Self-directed IRAs are the only retirement accounts editing that allow individual investors the freedom to pursue alternative investments, such as real estate. 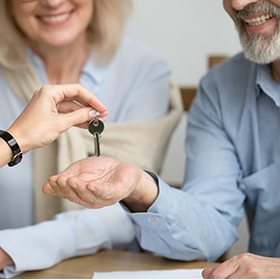 Investing in real estate with a self-directed IRA (also known as a Real Estate IRA) offers many benefits to those who are looking for creative ways to save for the future. Alden and his wife Anne, both aged 45, live in a leafy suburb in Western Pennsylvania, and they appreciate the value of wide-open spaces. Alden works in financial services while Anne returned to work as a veterinary assistant, after staying home with their two children. In 2014, Alden opened a Traditional IRA with Entrust with the intent of buying real estate to generate income for their retirement. He worked with a real estate broker who specialized in agricultural land. The broker found a parcel of vacant land in Montana, which Alden bought for $109,200 using his Traditional IRA. The contract and purchase were administered by Entrust, and Entrust received the monthly rental payments from the rancher who leased the land for cattle grazing. In 2017, the rancher was able to purchase the acreage. Alden and Anne negotiated a sale price of $142,000, garnering a 30% return on their investment in just three years. Roy spends long days sitting in front of a computer developing software for a tech start-up in Denver. He loves coding and analyzing his way to the best solution. On the weekends though, he straps on a tool belt and unleashes his inner do-it-yourselfer. He has owned and renovated several houses in the Denver area, moving into a new fixer-upper every couple of years. When he turned 52, Roy decided to put his renovation savvy to use for saving for retirement. He rolled over the proceeds from a former employer’s 401(k) plan into an Entrust Traditional IRA. It didn’t take Roy long to find a single-family residence in need of a little TLC. He bought it for $256,000 through his IRA. Well aware that if he did the work himself, it would be a prohibited transaction, Roy hired a contractor he had worked with before. All expenses—for services and supplies—were paid by the IRA. In less than six months, the house was ready to be put on the market. Roy benefited from the economic growth in the Denver area. He sold the house for $315,000 and experienced a 23% return on investment. Now, Roy is back in the market looking for his next project and more growth in his retirement savings account. Tracy owns a popular nail salon in the San Fernando Valley, not far from Los Angeles. As a small business owner, she started saving for retirement using a SEP IRA at Entrust making annual contributions that she invested in various alternative assets. In 2012, when her husband Terry retired from his job at a local hotel, they rolled over his 401(k) into a Traditional IRA at Entrust. Their plan was to buy real estate that would provide both a revenue stream and value appreciation. In 2013, they purchased a single-family home in a nearby town for $187,500 using a Traditional IRA. Their tenants paid rent to the property management firm Tracy hired. The cost of those services and all repairs, taxes and utility bills were paid through the IRA. When Tracy turned 70 in 2017, she decided to scale back her time at the nail salon so she and Terry could travel more. They also decided it was time to sell. They had benefited from five years of rental income and now wanted to cash in on the increased market value. They sold the house for $217,500, a 16% return on investment. A self-directed IRA gives investors like these the opportunity to invest in what they know, diversify their portfolio, and enjoy the benefits of a tax-deferred account. In these cases, investing in property offered two very valuable things: a steady revenue stream of income from the property on a tax-deferred basis and the equity built up by selling at the right time. To learn more about Real Estate IRAs, visit our Self-Directed IRA Real Estate Center here.